No other baseball game gets you closer to playing in the big time than R.B.I. Baseball. Because every one of the ten teams in R.B.I. Baseball contains the rosters and player stats officially licensed from the MLB Players Association. The best players from the mid-1980s were in the game with their real life stats and abilities, and like in real baseball, these skills and stats affect the outcome of every play. You can play against the computer in a nine game season or compete against a friend in your own best-of-seven series. Stop playing with no-names and step up to the plate with real superstars in R.B.I. Baseball! 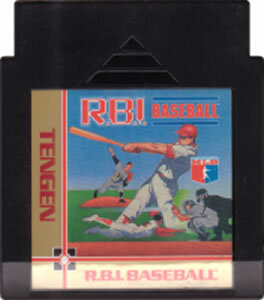 One of my favorite life memories is skipping class in college to have tournaments of RBI Baseball with my friends. Yes...It's that fun. 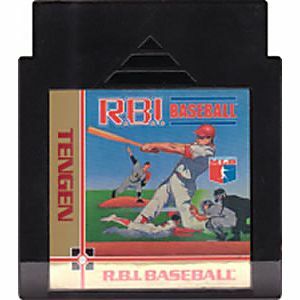 Unlike other baseball games of the late 80s, RBI was actually licensed by the players association and uses real life teams and stats from '86 and '87. You also had the option of playing as either the American or National league all star teams who had up and coming stars like Mark McGuire, Jose Canseco and veterans like George Brett. RBI's best attribute is the fun factor. I can't believe how amazingly satisfying it is to crank a home run blast out of the park. This game has good controls, real life attributes (like the occasional error) and some of the best batting fun in the entire NES library. It's an absolute must for anyone looking for something high on the fun factor.